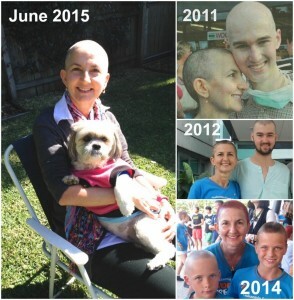 Since 2011 Lu has proudly shaved her head on 3 occasions in honour of Adem and in support of cancer patients during our World’s Greatest Shave campaigns. Ironically, Lu now finds herself losing her hair to help herself – during her own cancer battle. As the treatment for her Breast Cancer continues so do the many side effects of which hair loss is one of the most common. The strength, determination & acceptance shown by Lu and other amazing warriors who are battling a life threatening illness is truly inspiring. It leaves me without any doubt who our everyday hero’s really are.